"Yeah, with the spiky hair guy!" The above info came from Angelica, and was edited by yours truly (contact me). The image came from Who Wants to Know?. 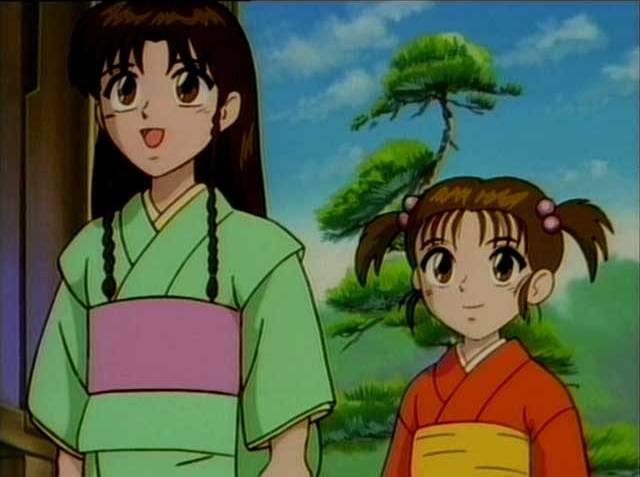 Suzume is the adorably cute little sister of Ayame. She's the granddaughter of Dr. Genzai and is always repeating her older sister's words. 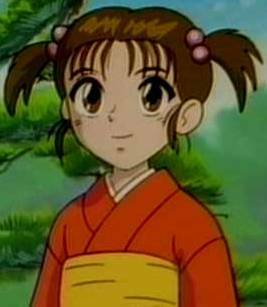 She calls Kenshin "Uncle Ken" and refers to Sanosuke as the "spiky hair guy". The above description came from Angelica, and was edited by yours truly (contact me).